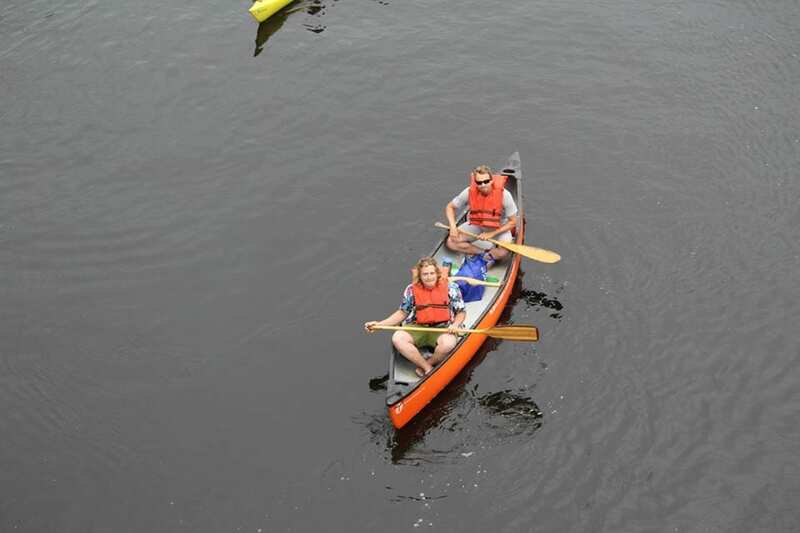 Androscoggin Land Trust’s (ALT’s) annual event is open to all to launch canoes, kayaks, paddle boards, (and more!) 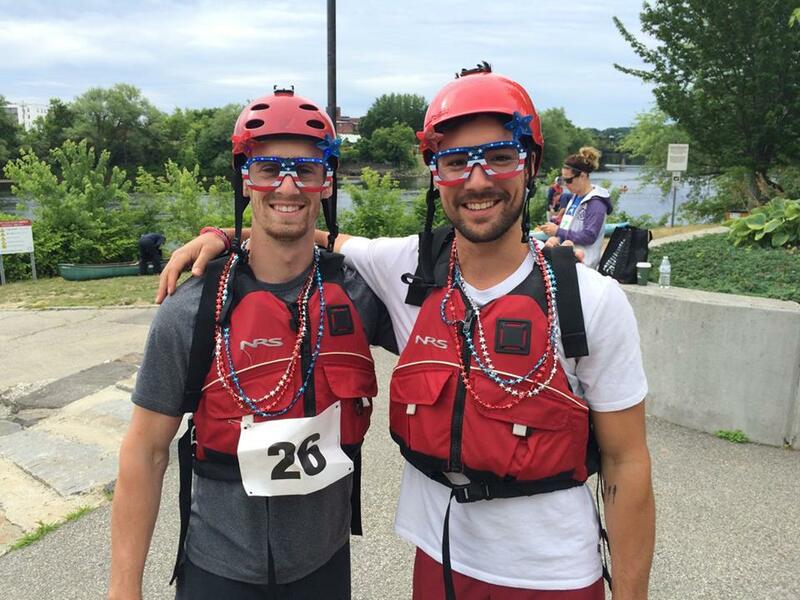 into the Androscoggin River and complete one of three courses of varying length and challenge! This event is held in conjunction with the Great Falls Brewfest, which takes place that afternoon a stones-throw across the river from our starting line (and thanks to Baxter Brewing, all pre-registered racers 21+ receive a discount on admission to the Brewfest!). 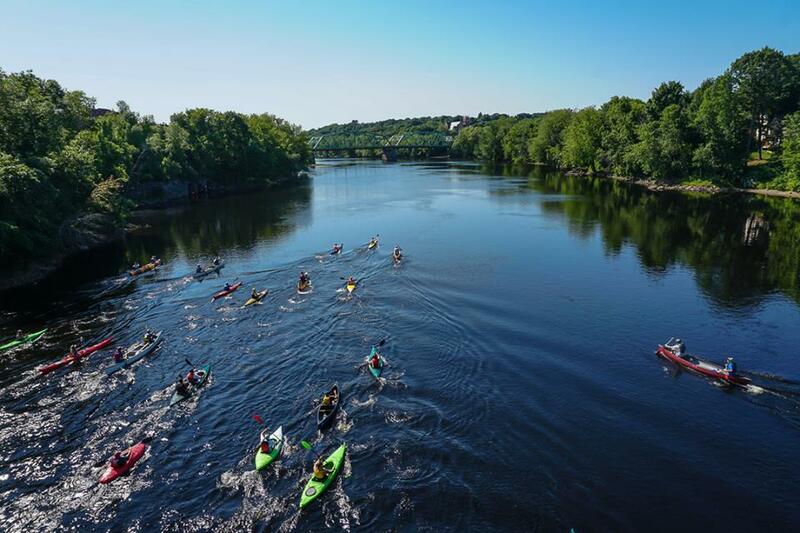 This event is a unique opportunity to take in natural beauty of the Androscoggin River with a group of fellow paddlers. 1.) 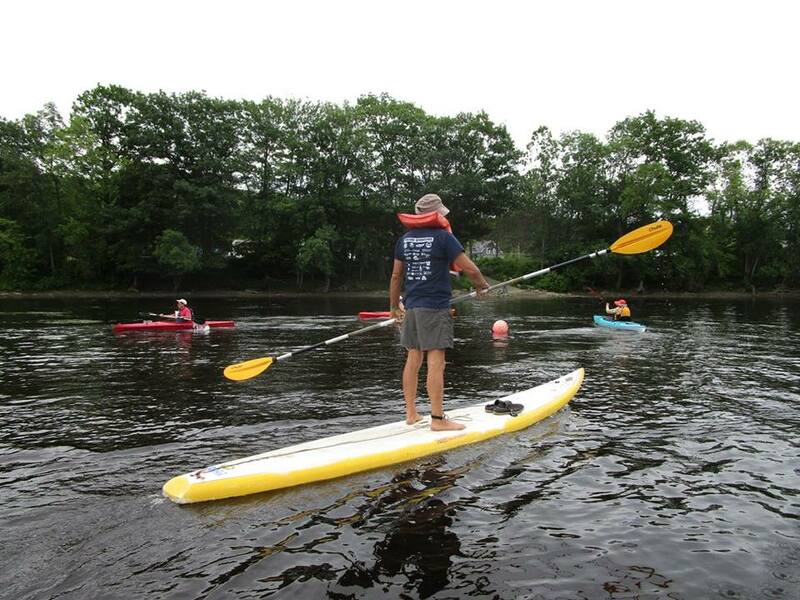 The Long Distance Paddle – An approximately 7 mile course that includes a section of rapids typically rated class I or II (but could be class III depending on the water level on the day of the race). 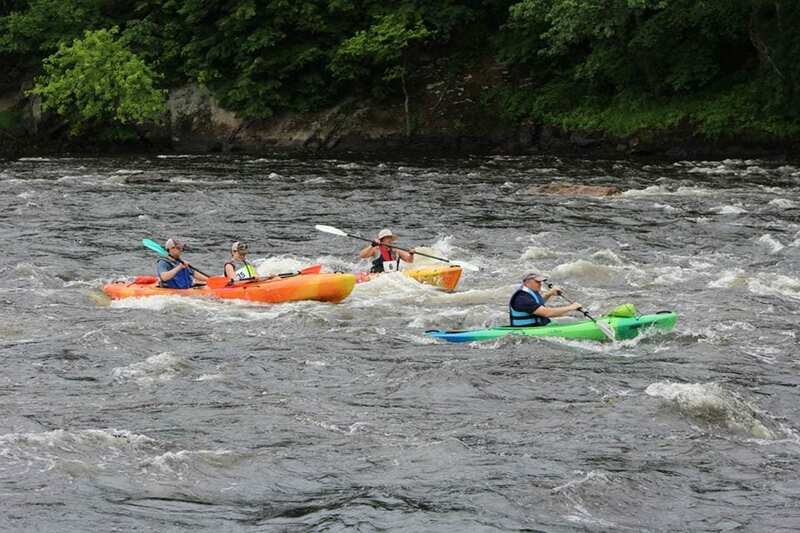 The event allows racers to experience unique sections of the Androscoggin River with many other recreational enthusiasts. Note: Due to the rapids, paddleboards are not recommended for this course. Average Time: 1 hr 22 min. Prizes will be awarded to the top 2 finishers in each category. One additional prize will be awarded to the boat or paddler with the best costume. 10:45 AM – Awards Ceremony at Festival Plaza in Auburn – Volunteers will stay to watch boats left at all three finish locations so you can attend the awards ceremony worry-free! 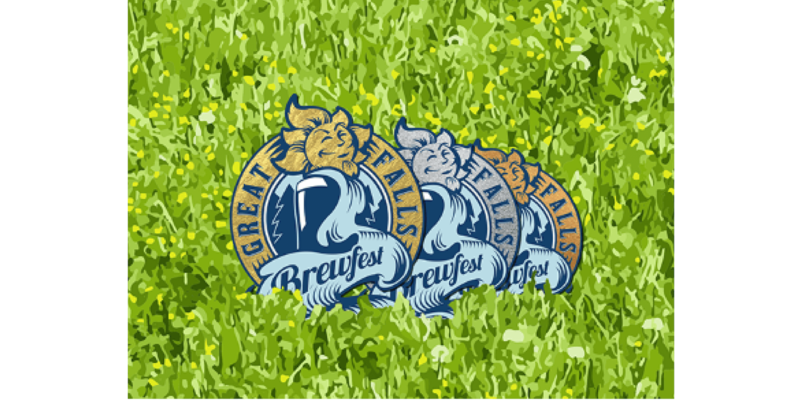 Thanks to the support of Baxter Brewing, all racers 21+ will receive a coupon code for 15% off a ticket to the Great Falls Brewfest (scheduled for 12PM VIP, and 2PM General Admission on June 22, 2019). All event proceeds support the land conservation, watershed protection, and outdoor recreation work of the Androscoggin Land Trust. Course 1. Long Distance: Durham Boat Launch, Rt 136, Durham. Course 3. Twin City: Lincoln Street Boat Launch, 509 Lincoln Street, Lewiston. Shuttle Service – For racers on the Long Distance Paddle Course, there will be a free shuttle service from the Durham Boat Launch back to Festival Plaza in Auburn courtesy of NorthEast Charter & Tour Co.
Limited quantities and sizes of t-shirts will be available for purchase to day-of registrants and spectators. 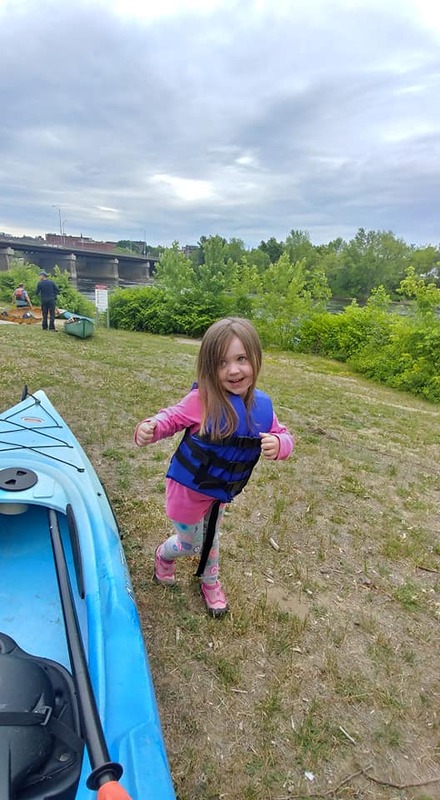 Please email us at info@androscogginlandtrust.org or call 782-2302 if you have any questions and we hope to see you out on the river on June 22! You can find 2018 race results at this link. 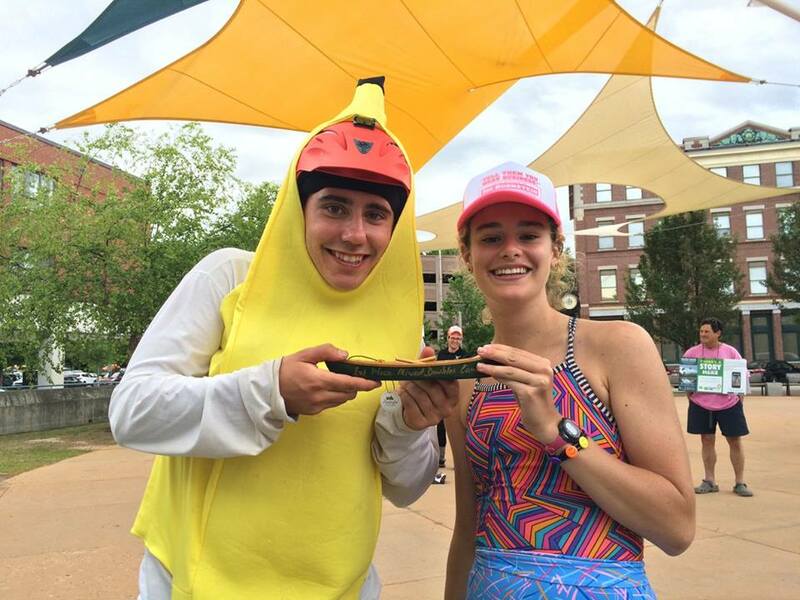 Thank you for all you came out to paddle on race day!